Pay only P 117,707 a Month for 12 months. Or pay only P 222,914 a Month for 6 months. With a set of features developed from decades of industry-leading experience and based directly on customer feedback, the fi-6800 Production Scanner can help digitize large volumes of documents with ease. 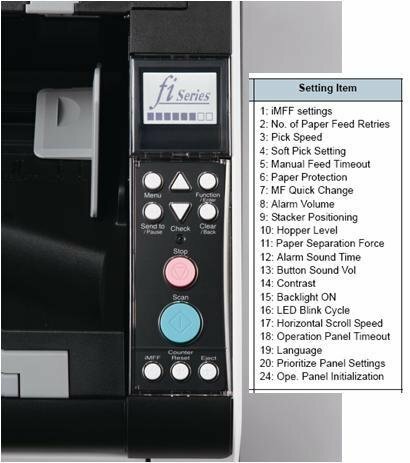 With blazing fast 130 pages per minute and true double-sided scanning speeds of 260 images per minute, in color, grayscale or black & white and up to 300 dots per inch (dpi), rest-assured the fi-6800's pure scanning speed certainly will not be the bottleneck in your scanning operation. Good things come in small packages and the fi-6800 delivers production level scanning speeds, yet without the sacrifice of a large exterior design. With its small footprint and quiet operation, the fi-6800 is suitable for in front-office environments and desktops where traditionally a Production Scanners' bulkiness and loud operation was unrealistic. The fi-6800 functionality makes it appealing for a wide range of document scanning applications and markets. With dynamic color dropout it is ideal for forms processing applications such as Healthcare insurance forms with a red color background. Or with Paper Protection which helps avoid potential physical damage to original documents for scanning historical records in Government. 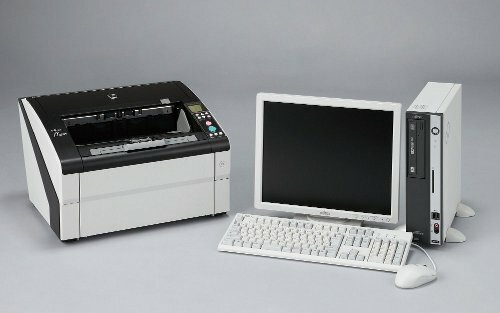 Or any combination of these industries for Service Bureau's who scan a diverse range of documents, the fi-6800's versatility makes it ideal for all Production Scanning requirements. The fi-6800 Production Scanner was built to perform but it doesn't end there. Making Production Scanning easy is one of the main appeals of the fi-6800. Even before scanning begins, the scanner operator can simply set a few user operator preference options directly from the LCD Operator Panel such as language, alarm volume, blink cycle, contrast and other options so that scanning is performed in their ideal comfort-zone. A large 500 page automatic document feeder ensures that processing volumes of batches can be done quickly without constantly reloading the paper input tray. Three Ultrasonic Double-Feed Detection sensors with Intelligent MultiFeed Function (iMFF) ensure that each image is captured without exception by detecting when two unintentional documents enter the feeder at the same time, yet affords the flexibility to capture intentional overlapping items such as sticky-notes attached to documents. Independently adjustable side trays makes input of batches easy and extremely efficient and controlled paper output speed with an Active Stacker helps keep the documents neat and orderly when returning batches to storage boxes or cabinets. In keeping with Fujitsu’s long-standing commitment to safeguarding the environment, the fi-6800 is the latest business scanner to adhere to strictest ecological regulations throughout the entire manufacturing process. The design and manufacture of the fi-6800 meet Energy Star’s energy consumption requirements and the European Union’s Reduction of Hazardous Substances and Volatile Organic Compounds regulations.